Sorry to sound like an idiot, but who is he? 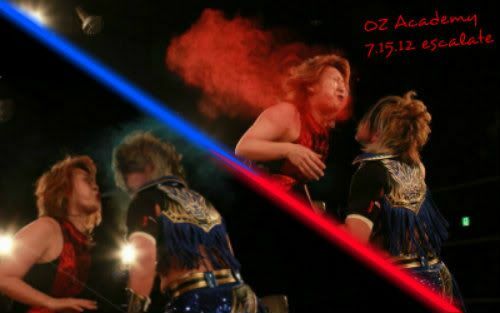 One of the best wrestlers in Japan and a top wrestler for New Japan Pro Wrestling. Multiple time IWGP champion. Master of psychology and kneeing people in the face. I'd put him ahead of Tanahashi when it comes to consistent match quality (he simply owned the 2010 G1 Climax) and he's the 2nd most popular heavyweight in the company (second to Tanahashi) despite being a heel. Ambassador to Strong Style in the new generation in the spirit of Hashimoto, an individualist, Black Savior and the "Son of God". If you enjoy well put together matches with a story, a flow (beginning, middle and end) and no wasted movement you'll probably like his matches. He was put in some very difficult situations earlier last decade during NJPW's slump. Bad Behavior has blocked 356 access attempts in the last 7 days.